Have you ever wondered what it's like to dive with flashlights, take digital photos underwater or float effortlessly like an astronaut? you can experience all of this and more on the PADI Master Seal AquaMissions. As with our Seal Team Programme, Master Seal AquaMissions reinforce safe diving and build water confidence while the young divers are having fun. 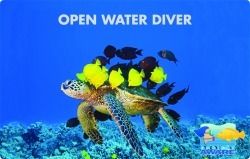 PADI Master Seals get to sample a wide variety of dive specialites covering the most popular and exciting dive types. In addition, this programme provides a structure for young divers to use their skills, learn more about the aquatic environment and have a lot of good, clean fun. This is also an excellent introduction to SCUBA diving prior to full Open Water Diver certification. 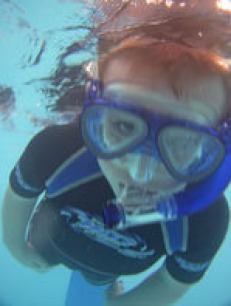 Master Seals use all the basic SCUBA gear that adults would use. Here at DIVE Rutland, we have a range of smaller sized gear and cylinders specifically for use by our young divers. DIVE Rutland provide the course over 5 pool sessions arranged between the group. Courses are generally scheduled to follow the completion of Seal Team programmes. Each of the five sessions includes attendance at our centre for briefings and around 75 minutes of underwater activity in our pool. Each session also requires a parent/guardian to be present throughout. Certified Master Seals build a variety of skills and experiences in the pool that put young people in a position to comfortably and confidently enroll to the Junior Open Water Diver course.